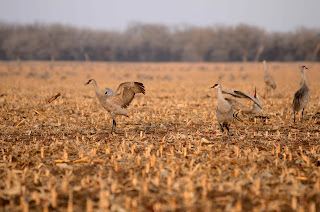 Just got back from a trip to see the Sandhill Cranes in NE. Way cool stuff. It is midnight and I am exhausted. But thought that I would throw up an image for you guys. 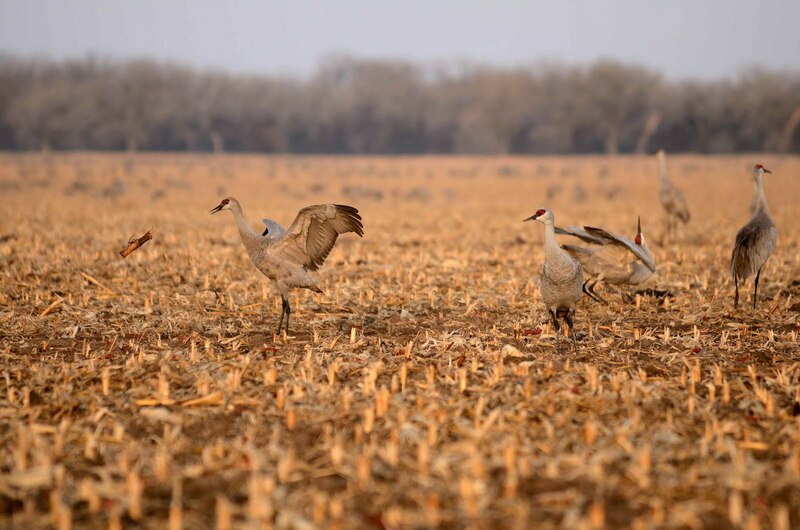 This is something that you see a lot when observing crane behavior - they toss sticks. See the guy on the left. Anyway - good night. Will post more soon.